John Lautner’s Sheats Goldtstein Residence, is one of the most remarkable Modernist buildings ever designed and sits in Los Angeles, California. 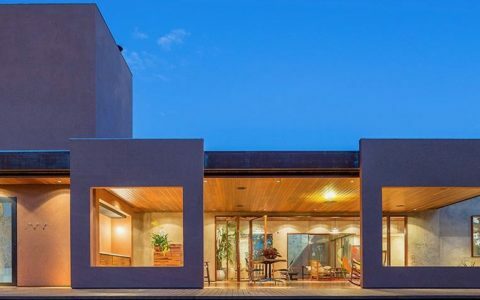 This house is closely related to John Lautner’s career, and it wasn’t a project like any other as it is in construction since 1963. Still today its owner keeps on adding parts, maintaining Lautner’s legacy alive. Some time ago Treats! 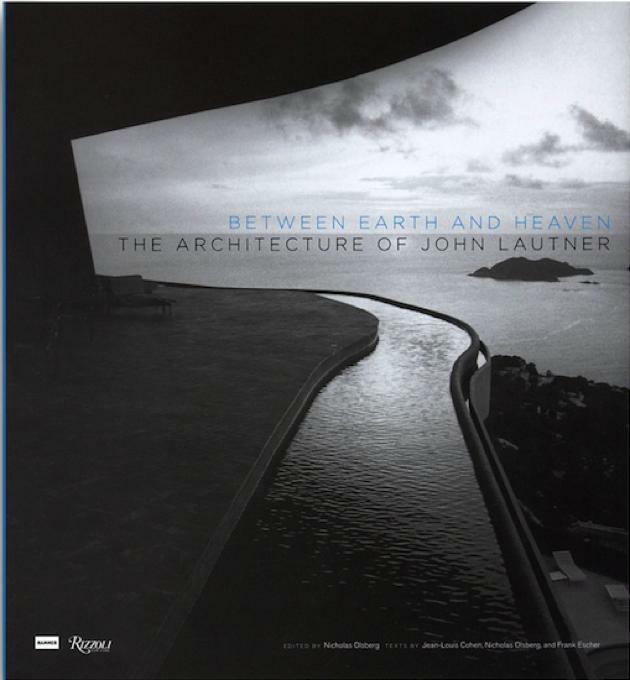 magazine interviewed (video below) the owner of the Sheats Goldstein Residence, James Goldstein, about his relationship with this masterpiece and his personal story of love and affection for Modernist architecture, and John Lautner’s talent in particular. Below is the video transcript, in case you can’t watch the interview now. 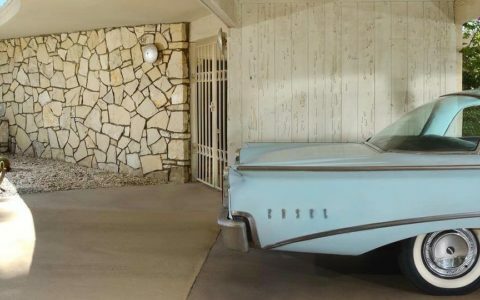 When I walked into this house (Lautner’s Sheats Residence) in 1972, immediately, I knew this was the one. The house was in horrible condition, but I could see that the design was very special. But there was one complication, someone else already had this house in escrow. Fortunately for me, the other person had a contingency in his contract and tried to lower the price. And when he did that, I immediately stepped in and offered his original price, and the house was mine. I was a tremendous fan of Frank Lloyd Wright and I learned that John Lautner had been an apprentice and also a key architect working under Frank Lloyd Wright. At the time, around 1979, that I start working with him, he was not doing very well. He wasn’t well-known. He didn’t have many other projects if any and so he was thrilled, not only to have the opportunity to upgrade this house, but also because he needed the opportunity to do some exciting work. And unlike many architects who tell their clients what has to be done, he was actually a little too far in the opposite direction. He would never tell me anything that he wanted to have done. He always waited to hear from me first. That, in some ways, made it difficult for me, but it was a challenge for me to come up with ideas and very exciting to see the process evolve from my original ideas. I worked on this house on a non-stop basis for more than 10 years while John Lautner was still alive. 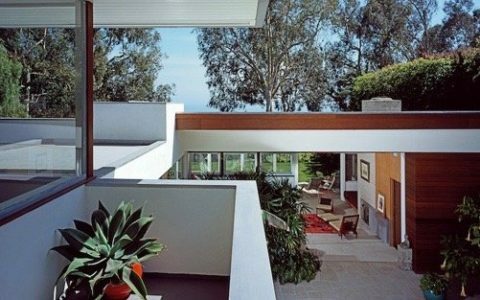 Our goal was to take the house (Sheats Goldstein Residence) to its ultimate point, regardless of what it cost and regardless of how long it took. And many things took years to implement but I don’t regret anything that was done and I’m very proud of the way it turned out. When I finished with the house itself, I moved onto other things. The most major project of them all, the new addition to the house which will more than double the size of the house and will contain some major entertaining facilities. Everything is done in the same style as the house. We’ve even taken it a little further and almost everything being made out of concrete. Even though I’ve already been working on it for at least five years, probably has another five years to go before it’s going to be completed in its entirety. I put out the word that the house will never be for sale because this house became a huge part of my life.